Консольный зонт MEZZO для частного сектора имеет мобильный купол, который возможно открыть и зафиксировать в любом направлении для защиты от солнца и ветра. Открытие и закрытие купола зонта осуществляется посредством эргономичной и удобной рукоятки или индивидуальный поворотом конструкции. Помимо базовой модели (MEZZO MG) консольный зонт MEZZO также имеет люксовую модификацию (MEZZO MH) со встроенным в мачту зонтам регулятора высоты с помощью газового амортизатора. Зонты MEZZO имеют строгий, лаконичный дизайн и с большим выбором вариантов расцветок и форм куполов. Можно выбрать круглые, овальные, прямоугольные или квадратные конструкции. Зонтик предназначен для частного сектора. 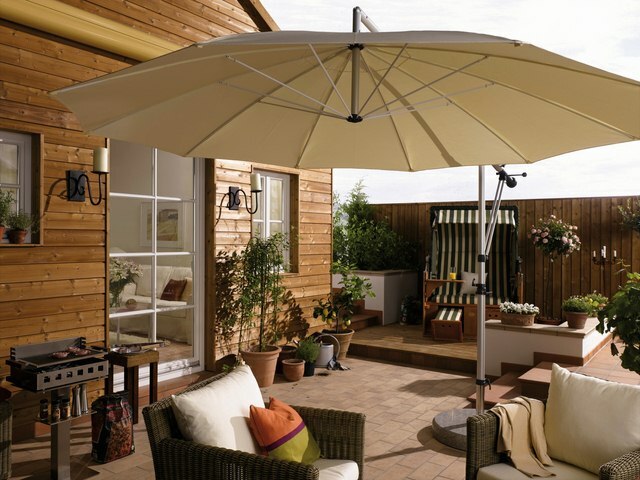 Parasol MEZZO: Easy construction and usage. The true quality of the light use umbrella MEZZO is reflected in its daily use. 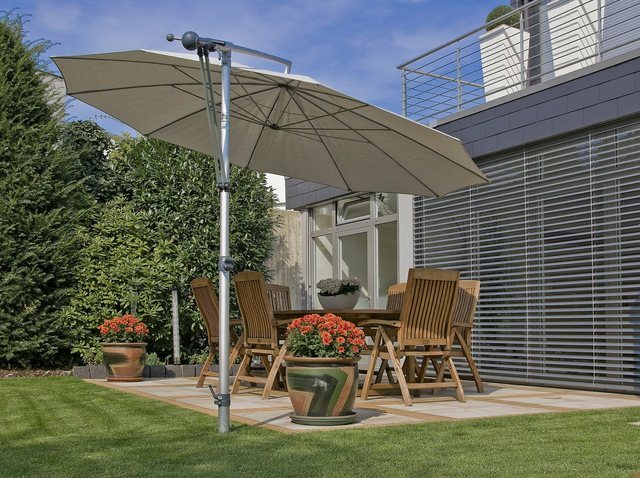 Thanks to its good mobility, shade can be achieved with just a few simple steps in almost any position and the parasol can lock reliably due to its special canopy fixation. 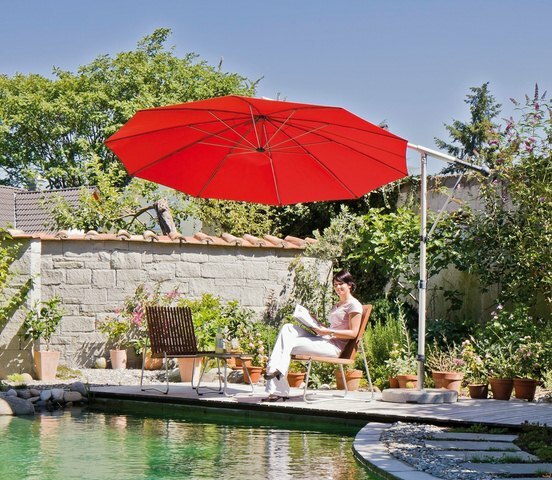 You can align the light umbrella MEZZO with the sun or use it to to provide shade. During inclement weather periods, a protective sheath can be easily placed over the parasol. 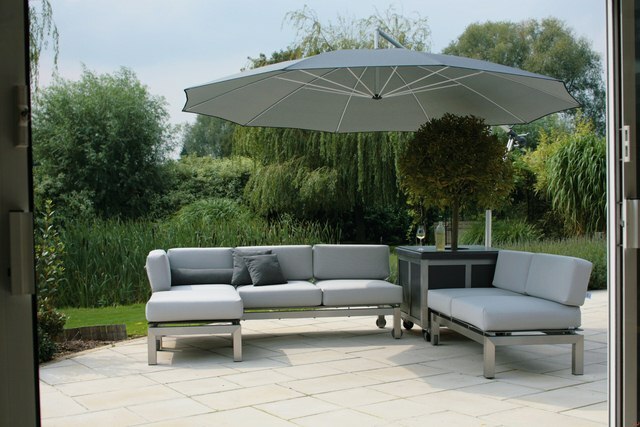 The practical canopy fixing the MEZZO allows you to open it to oblique positions and stops the oscillation of the canopy in the wind. All functional elements are arranged centrally by the operator and can be operated comfortably at any height. With a few simple steps the MEZZO can open and close using the hand crank to bring it to the desired position and then fix it in place. The frame is made of very high quality alloy, extruded from aluminum profiles. The frame has an anodized surface, is high impact-and shock-resistant and is available in the color EV1 : natural silver gray. The spokes are made of spring steel and powder coated in white RAL 9010 or RAL 9006 silver available. 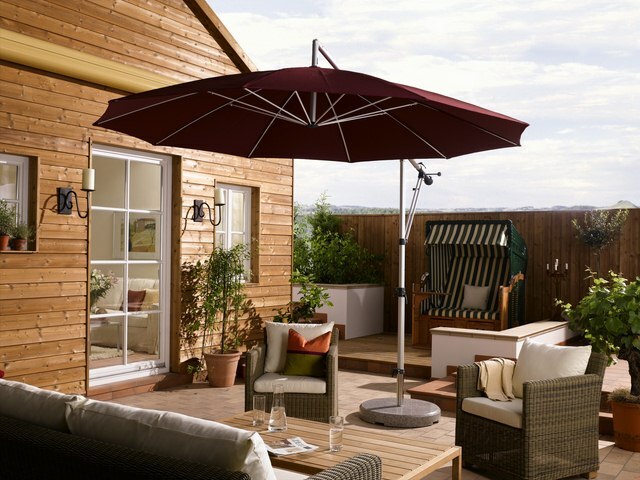 The MH MEZZO offers, in addition to the basic MG model a height adjustment with an integrated gas spring in the umbrella pole. This is an effective method of lifting the light parasol with minimal effort as the sun moves throughout the day. Parasol MEZZO: Shapes and sizes.